At Ray Heating & A/C we offer our Preventive Maintenance Contracts to help ensure your system is working correctly and efficiently when you need it. This includes scheduling semi-annual check-ups to maintain peak efficiency, prevent utility over-payment, and avert system failures through predictive maintenance that can help extend the life of your heating and cooling system. 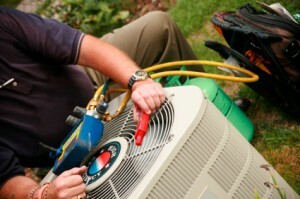 Preventive Maintenance should be performed at least once a year on all heating and cooling equipment. If it has been more than a year since your system has been serviced, contact Ray Heating & Air Conditioning.